I became interested in a research career after being fascinated by the diversity of molluscs (and what they are doing). My main focus is on heterobranch molluscs, which includes the colourful nudibranch sea slugs. Now I also work on many groups of animals, including fish, annelid worms, and crinoids. I also work across different habitats including Antarctica, tropical reefs, and the deep sea. Antarctica is a fascinating place to study evolution, because of its isolation and climatic history. 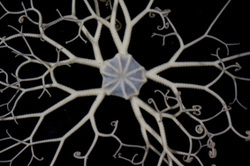 I am working on a number of projects to understand how and why organisms diversified there, and how populations are connected across such vast areas. 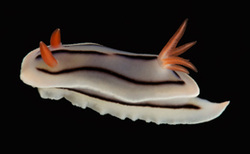 I have a long-standing interest in the amazing nudibranch family Chromodorididae. These are the animals that first attracted my attention to a research career. As we get closer to having a robust phylogeny of the group, we can begin asking questions about how particular traits evolve. 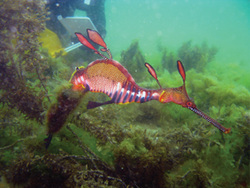 The amazing seadragon species in Australia are beloved all over the world. We have been working on understanding how populations are connected, and how they live in the wild. This information will help inform conservation decisions. I am totally fascinated by the adaptations some slugs have undergone to live in the interstitial environment. 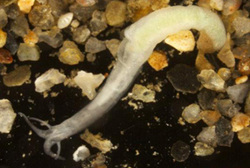 These animals are very hard to find, and very little is known about their diversity to date. Two major heterobranch lineages have adapted to this lifestyle- Rhodopemorpha and Acochlidia.